This mens tennis polo salutes the youthful style of Dominic Thiem and Sascha Zverev. The shirt is built with breathable climacool® and includes a mesh panel in back for targeted ventilation. 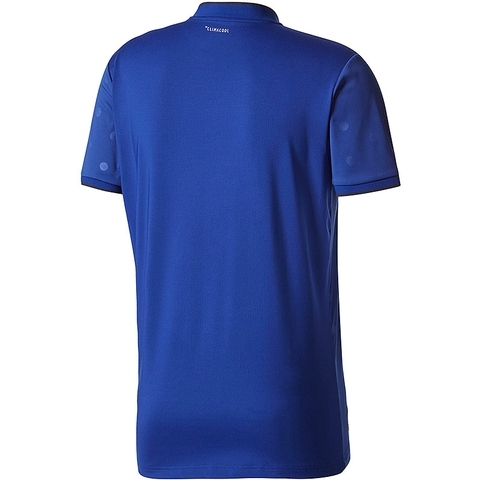 Its designed with a henley collar, and the fabric offers UV protection for sunny days on the court. Ventilated climacool® keeps you cool and dry, ribbed henley collar with button placket; Piping on placket, mesh insert on back panel, ribbed cuffs. 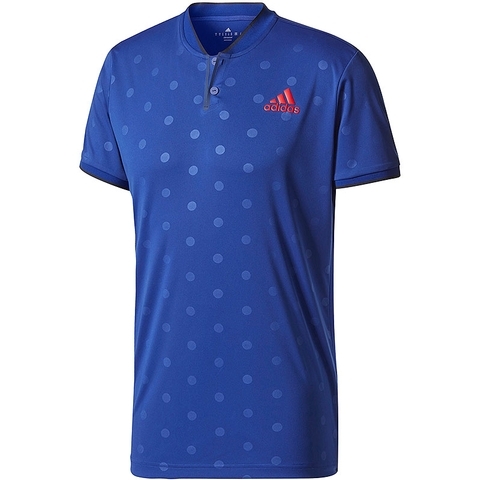 Heat-transfer adidas Badge of Sport on left chest, UPF 50+ UV PROTECTION.